Though the exact cause of Alzheimer’s is not understood yet, researchers have discovered certain factors like obesity, smoking, high blood pressure, and high cholesterol can increase a person’s risk of developing Alzheimer’s. The condition is not completely preventable, but taking a few preventative measures can reduce the risk of developing this neurodegenerative form of dementia. Seniors who want to lower their chances of getting Alzheimer’s should pay attention to the following tips. A lot of Alzheimer’s research has focused on the relationship between sleep and Alzheimer’s disease. It turns out sleep is essential for clearing out certain brain-damaging proteins and other toxins that may cause Alzheimer’s. To keep the brain healthy, seniors should try to get about eight hours of sleep a night. Those who have difficulty sleeping may benefit from cutting back on caffeine six hours before bed, avoiding bright computer or TV screens an hour before bed, and sleeping in a very dark room. Alzheimer’s disease is one of the many health conditions older adults are susceptible to. 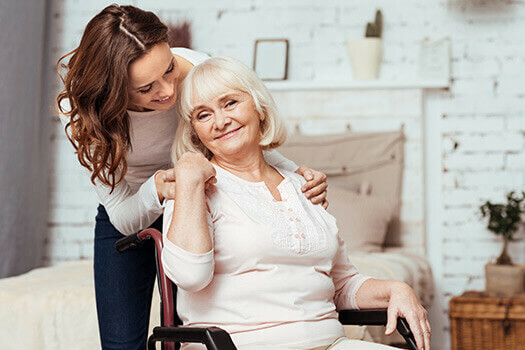 Seniors can face a variety of challenges as they age, many of which can be mitigated with the help of professional in-home caregivers who provide high-quality home care. Clarksville families trust in Home Care Assistance to help their elderly loved ones age in place safely and comfortably. Staying physically strong can be healthy for the brain because it reduces the risk of fall-related head injuries and encourages blood flow to the brain. Obesity and high blood pressure are two of the main risk factors associated with developing Alzheimer’s. Exercising also helps seniors lose weight and lower their blood pressure. Seniors should aim for about 150 minutes of moderate exercise each week if possible. Seniors who need help exercising can benefit from professional in-home care. In Clarksville, TN, home care agencies can be a great boon to seniors. With the help of the caregivers at Home Care Assistance, your aging loved one can lead a happier and healthier life. We offer a revolutionary program called the Balanced Care Method, which encourages seniors to eat nutritious foods, exercise and socialize regularly, and focus on other lifestyle factors that increase life expectancy. It is important for seniors to continue to stimulate and challenge their brains. Learning new things or taking part in activities that use a lot of brain power strengthens the brain and prevents cognitive decline. Seniors can lower their risk of Alzheimer’s while doing fun things like playing board games, learning new languages, completing a puzzle, or reading a book. Other useful activities include playing computer games or taking mental training courses designed to boost memory, language, and logical skills. Group activities are particularly useful because social engagement stimulates the brain. Alzheimer’s disease has been linked to both brain inflammation and high blood sugar levels, so diet has a significant impact on the chances of getting Alzheimer’s. Seniors should try to eat an antioxidant-rich diet because it protects the brain from oxidative stress and inflammation. Healthy omega-3 fatty acids can also lower Alzheimer’s risk because they get rid of the beta-amyloid plaques associated with Alzheimer’s disease. It is also important to cut back on sugar and trans fats, so seniors should try to avoid processed foods. A good diet for preventing Alzheimer’s typically includes a lot of fresh vegetables, fresh fruits, fatty fish, whole grains, and lean meats. Family caregivers can become overwhelmed when caring for a loved one who is at risk of Alzheimer’s disease. Families who find it difficult to care for their aging loved ones without assistance can benefit greatly from professional respite care. Clarksville, TN, family caregivers who need a break from their caregiving duties can turn to Home Care Assistance. Using our proprietary Balanced Care Method, our respite caregivers can encourage your loved one to eat well, exercise regularly, get plenty of mental and social stimulation, and focus on other lifestyle factors that promote longevity. If you need a professionally-trained caregiver for your elderly loved one, contact us at (931) 444-1950 today.